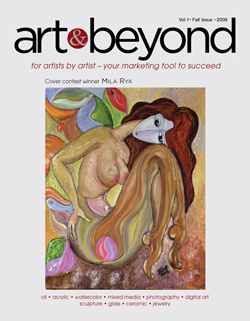 Art & Beyond Online Magazine is holding Cover and Content Competitions for each Online Magazine issue. 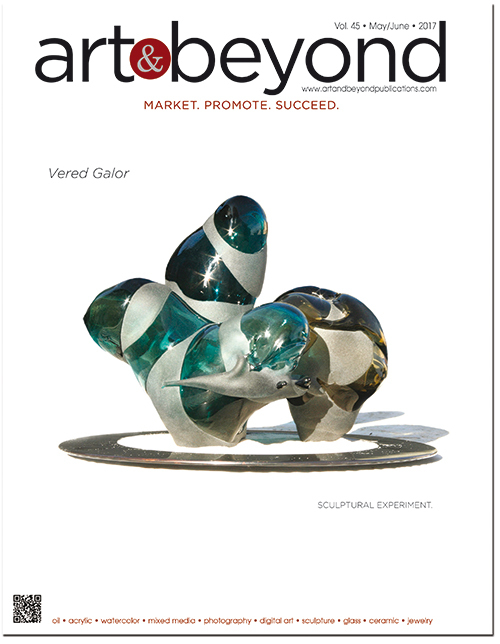 Winners will be awarded with One Full Page article published in the Art & Beyond Online Magazine. Front Cover winner will be awarded with Gallery Page presentation in addition to the magazine page with 5 images and biography in the Online Gallery. Publisher Choice Award will be given to a number of artists with One Full Page Article. The Entry Fee is $40.00 for 2 images. You may submit up to 5 images within additional charge of $7.00 per image. 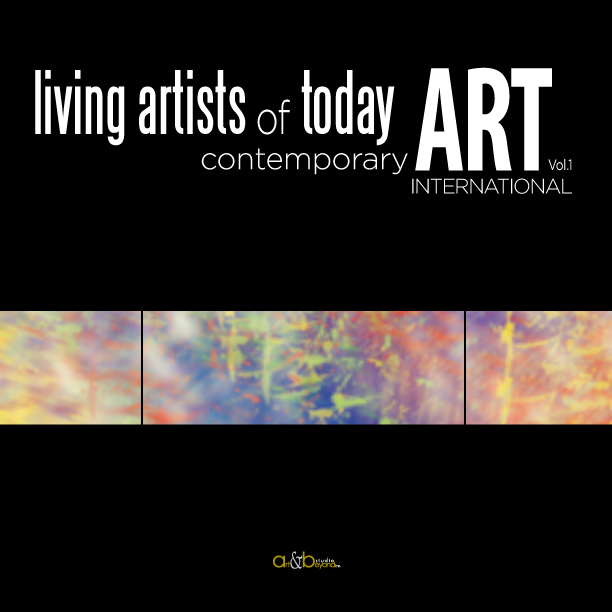 Art & Beyond offers an editorial Interview instead of a short biography in additional price of $95.00 for 4-5 questions, One page and $190.00 for 5-7 questions, Two pages. It can be purchased any time or during 24 hours after winners are announced. The PayPal button for this service can be found at the bottom of this page*. After your payment is completed please send your images to mryk@art-beyond.com with a following information in the subject line: month of the competition you are applying to (example: May/June Online magazine Cover Competition). *All payments are include PayPal service fee. If for some reason after you applied and made a payment for a Competition you decided not to participate in it the refund amount of your payment will reflect the service and transaction fees (which will be subtract from the amount you paid). Please make your decision for participation wisely. If for any reason after you applied and made a payment to participate in the Online Magazine Cover and Content Competition you decided to cancel your participation – the refund amount of your payment will reflect the service and transection fees (which will be subtracted from the amount you paid). Please make your decision for participation wisely.